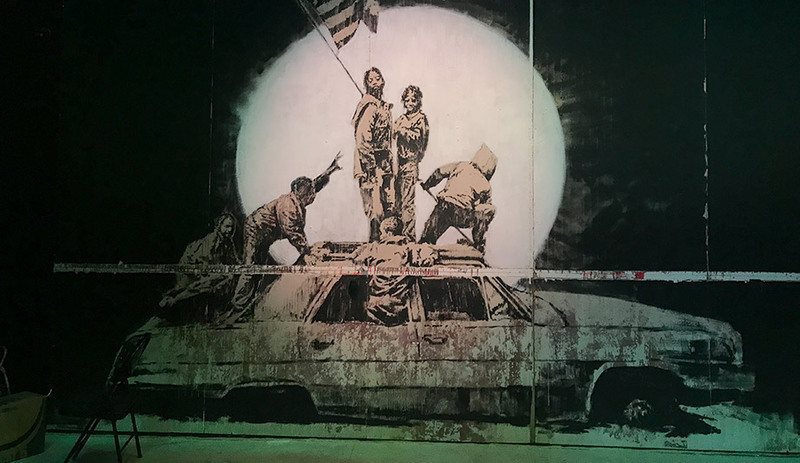 It is undeniable: Banksy is one of contemporary art’s defining voices. 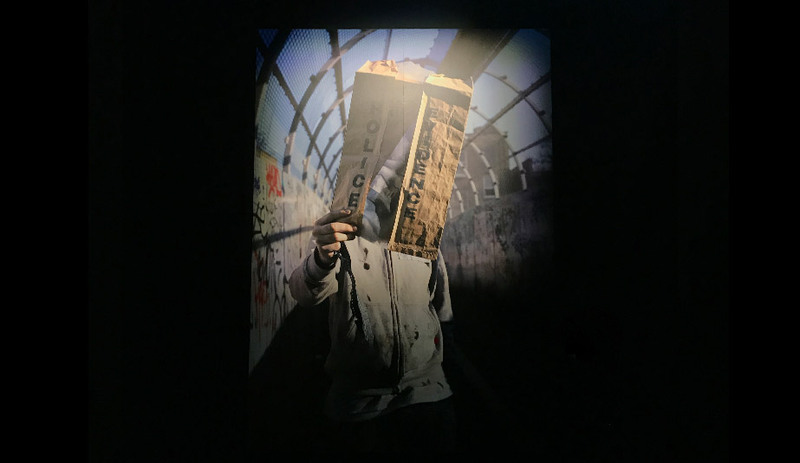 The mysterious artist – whose identity has not, and perhaps never will be, revealed – rose to fame in the 1990s, using stencils and graffiti to convey messages that veered from playful to political. 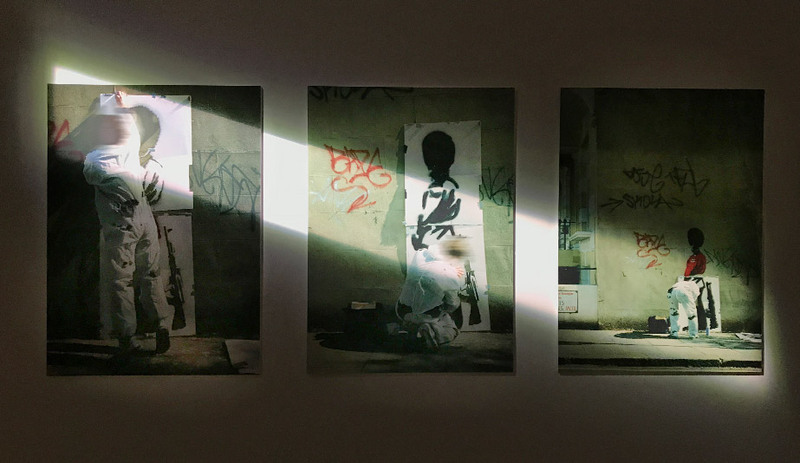 Like so many street painters, his art interventions challenged perceptions of the built environment: he found light peering through cracks in decaying brick, framed beauty in crumbling concrete, and drew attention to surveillance hidden in plain sight. 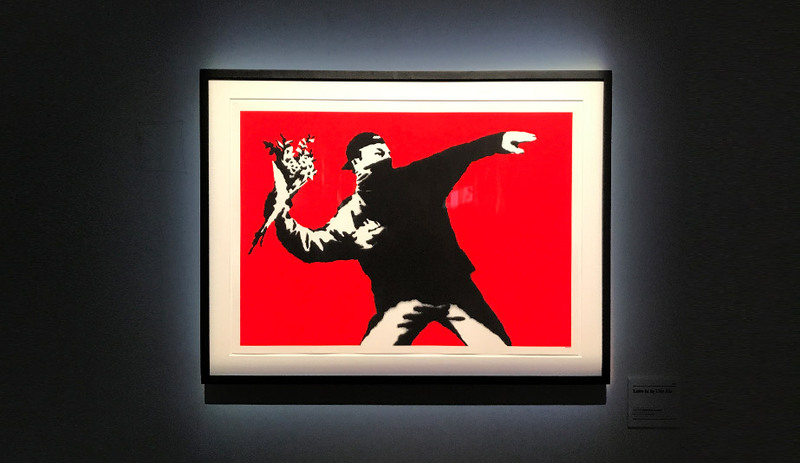 Through word-of-mouth hype and record-breaking sales, Banksy’s pop culture-infused work began appearing in Bristol, then London, then in locations around the world. 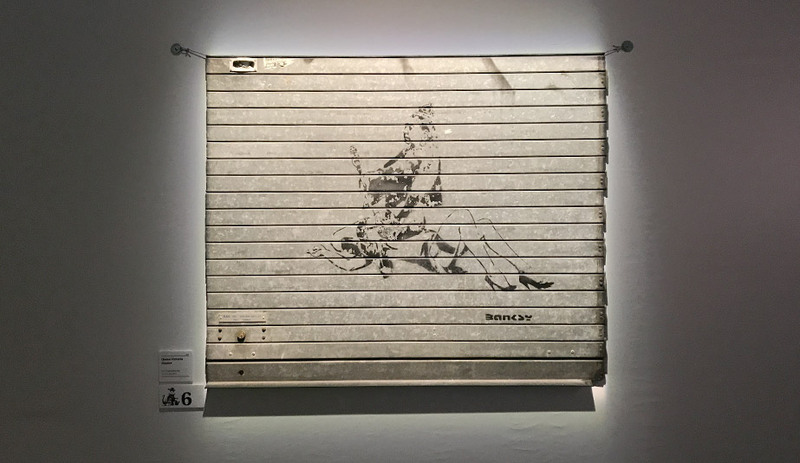 The Art of Banksy, a four-week exhibit curated by friend and documentarian Steve Lazarides, is likely the greatest Banksy collection in the world, valued at more than $35 million. Landing on Toronto’s rising Sterling Road strip – a rusty-around-the-edges industrial area that will soon be home to the city’s Museum of Contemporary Art – the unauthorized exhibit features 80 works from 40 collectors at 213 Sterling Rd., the site of a former transformer factory. That location also happens to sit below our offices. 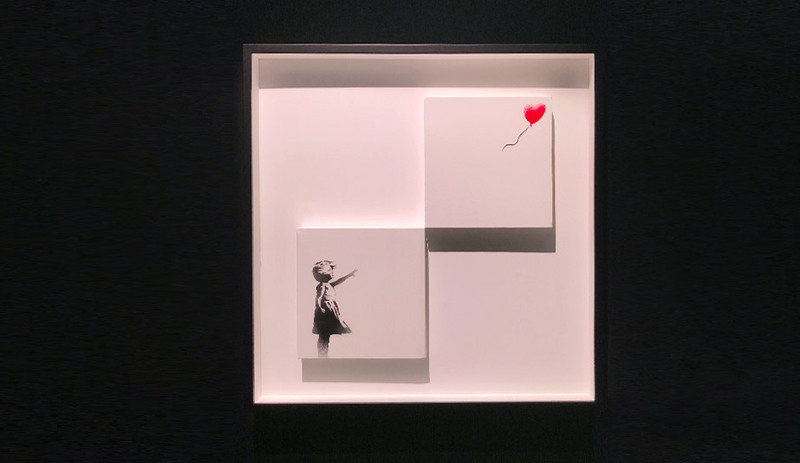 So ahead of its opening, which happens on June 13, we headed inside the exhibit to take in the collection – which, of course, features the famed Girl With Balloon (above). Azure‘s Tory Healy caught up with Lazarides to discuss his relationship to the artist, the complications of privatizing public art and why The Art of Banksy chose Toronto as a destination. 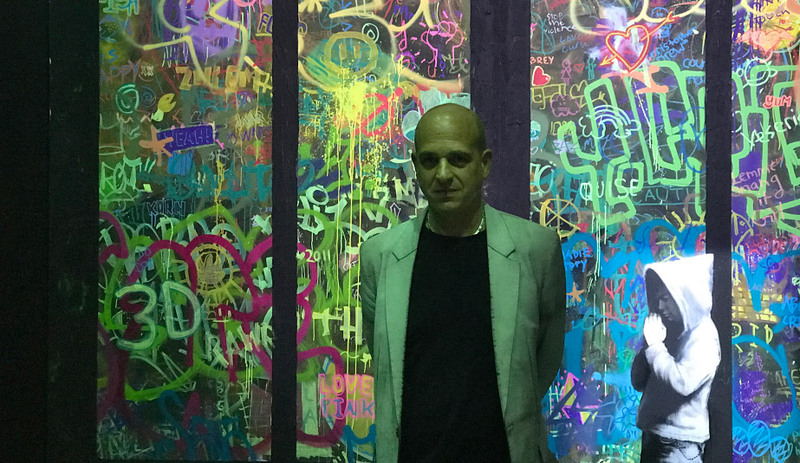 Steve Lazarides, the curator behind The Art of Banksy. I was watching a video inside, and you started your relationship with Banksy as a documentarian. Yeah, I was his photographer, basically. So I went and documented everything he was doing. And this was in an age before digital media. There’s no digital cameras, no camera phones. That kind of body of work from that point in time is really kind of important. Because there’s no one else that has it because it was the end of film cameras and the very birth of digital cameras. So, it’s this weird space in time, in that there weren’t a lot pictures being taken. With graffiti, quite often it might only last a day, so unless you’ve got the picture of it, it doesn’t exist. No, it never worked like that. It felt like we were near the eye of the hurricane, and never really had any perspective of how big it had become, because for us it never changed. We were still two daft kids. It’s hard even now to look back with any kind of perspective. What was the very first piece that you acquired? That I acquired? London Bristol New York, which is a kind of a heavy weaponry, that had London Bristol New York written on it because those were different places he’d lived. That’s a really early piece from him from 2000. Wow. Is this your favourite piece? No. I think my favourite piece of all time is his Media canvas (2006). It was in the Los Angeles show. It’s a little girl bleeding with her teddy bear and a film crew is holding back the medic so they can get the perfect shot. For me it kind of encapsulates this whole political leaning. That is my favorite piece. Unfortunately, it is not here. Is there an overarching theme to this show, or something you want the viewer to take away with them? What we try to do is bring elements of everything he ever did. 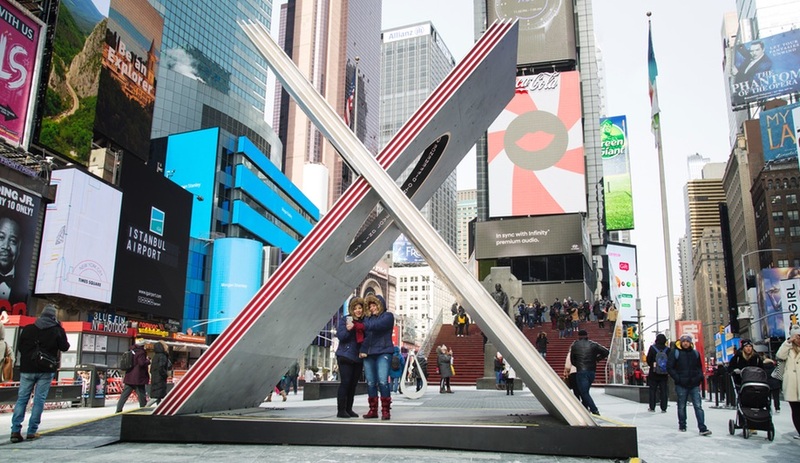 There is sculpture, screen prints and paintings, and I hope people come in there and are inspired to go out on the streets and actually start saying something political. One of my problems nowadays is there are so many graffiti artists out there working but hardly any of them are actually saying anything. 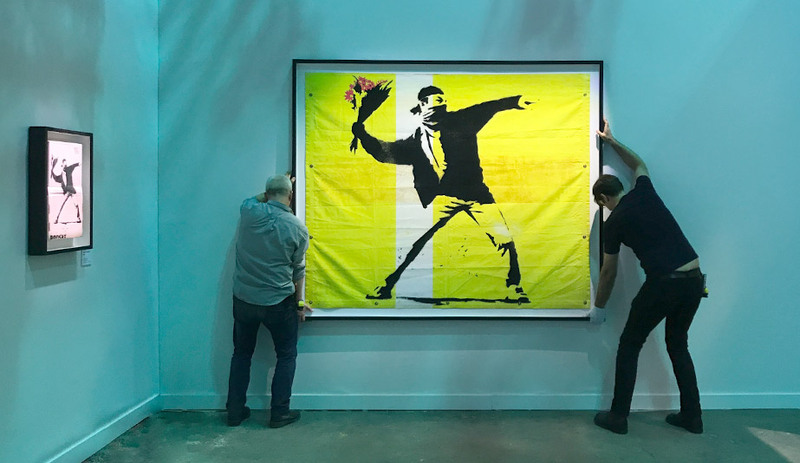 They are pretty pictures on the street, which are great, but the biggest artists like Banksy and J.R. are actually out there plowing a political message. Hopefully people will take away something from the show or have a discussion over breakfast. I don’t know. At least take something that inspires some kind of conversation. Why Toronto, why now and why here? 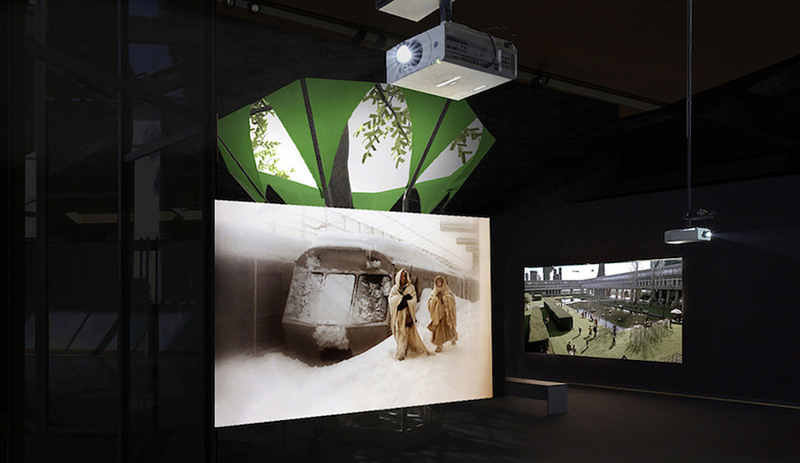 Because it is really harks back to the way we used to do exhibitions. We’d take over derelict spaces and this really fits with the ethos of how we used to do things. Toronto, because it is a really nice place to come and we thought they’d be pretty open minded to the show, which they have been. The thought was it was the perfect timing, perfect place, perfect venue. I think the building came up with it and it just worked perfectly for us. We’ve always gone somewhere where the rents been cheapened and it is pretty derelict. I have a feeling the rent is probably not going to be cheap here for long. I know. You’ve got your craft beer place opening. The neighbourhood is falling quick. 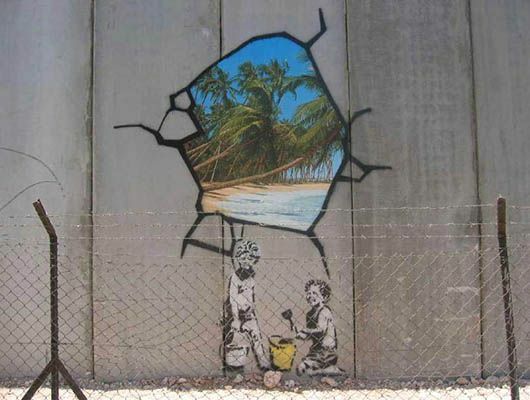 Banksy’s art is meant for the public realm. How do you reconcile claims that it should not be privatized? 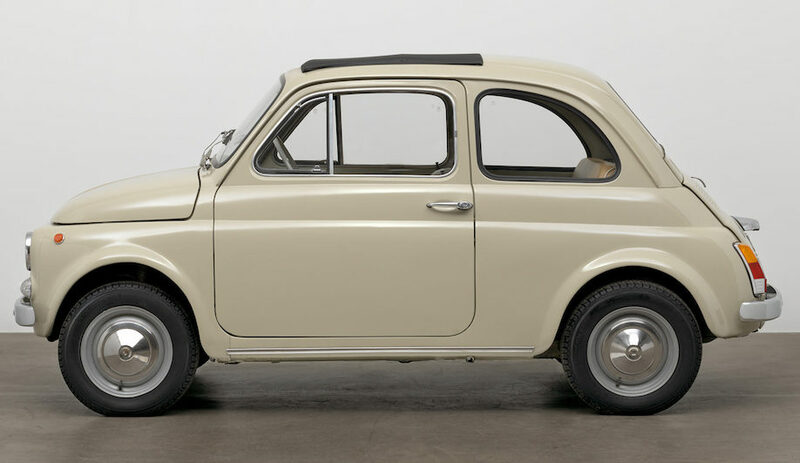 It has always been in a gallery. 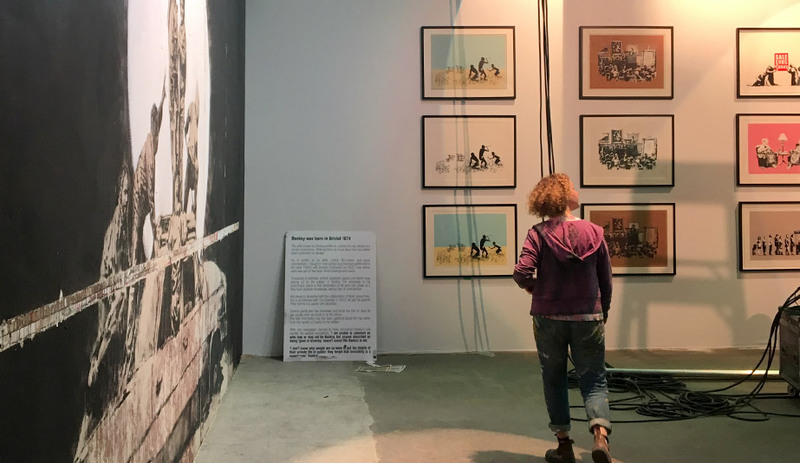 All of the pieces in here were bought and sold at various shows that Banksy has done. The commerce part was always a part of it, otherwise these guys would never be able to survive. What they do on the street is a gift for the general public, but it quite often costs a lot of money – especially the way Banksy does it. They are quite complicated projects to do. Unless they can sell things to make money they can’t really do stuff on the street. I think it is a very pure way of doing things. They are not taking money from corporate sponsors or private backers. They are funding everything themselves through selling their painting or screen printing. I don’t think there is a problem there. 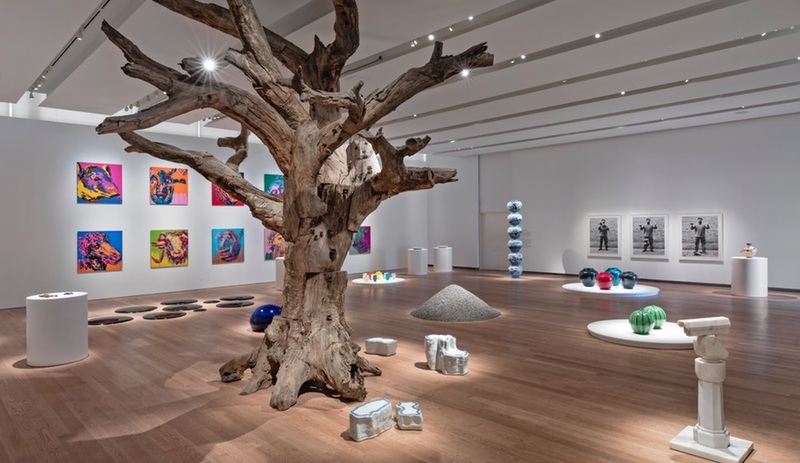 I’ve also read that you are a trends forecaster when it comes to underground art. What do you feel the next movement is? I know that you represent J.R., right? J.R. again is part of the same movement but I haven’t seen any kind of new stuff coming though for a long time. I think there is some great stuff coming out of the Middle East out of protest and conflict. I think that is where the next body of work will come from. Are there any Toronto artists that you’ve heard about? My knowledge of here is terrible, but once this is finished, I’m going to get out on the street and have a look around. I’ve seen plenty of graffiti around, but I just need to kind of get around here. Shepard Fairey had a big show in L.A. last year. Is this kind of analogous to that? I think the guys were all working at the same time, like Shepard. Everyone knew each other and it was quite tight with all of them working in that way. Museums weren’t giving them shows so they do stuff their own way. Shep is the same. He likes putting music on and for the whole thing to be an event. There has been literature out there that Banksy is female. I can’t – I’m not going there. It’s like telling someone Santa Claus isn’t real. Yeah, I had to try. We were examining the fingernails in the photographs. We staged an awful lot of photographs as well. Fake news. 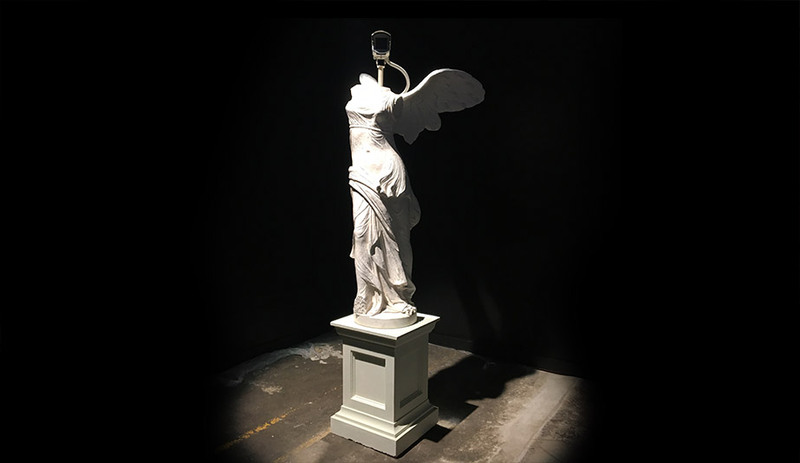 The Art of Banksy runs from June 13-July 11 at 213 Sterling Road in Toronto. Get tickets here.